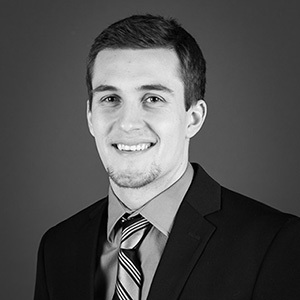 Tyler Jones joined our structural engineering department and relocated from his home state of Michigan. Tyler graduated from Michigan State University, receiving his master’s degree in civil engineering with a focus on structural engineering. His graduate work consisted of research on buckling restrained braces and bridge pier shear failures due to the effects from near-source earthquake forces. At MSU, Tyler was a student member and officer of the Civil Engineering Honor Society. "My favorite place in the world is anywhere outdoors with a scenic view. Astronaut or aerospace engineering working for NASA. A cup of coffee and some good tunes.